Javad Nazarian, Ph.D., has been named scientific director of the Brain Tumor Institute of the Children’s National Health System. Since 2006, Dr. Nazarian has been an active member of the Brain Tumor Institute, contributing to the advancement in understanding pediatric brain tumors. 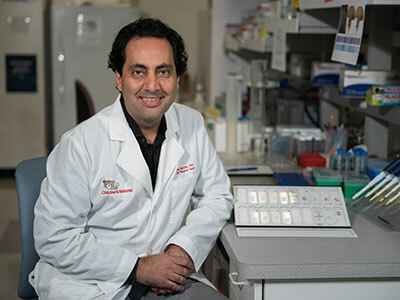 He has been instrumental in his role as a Principal Investigator in the Center for Cancer and Immunology Research where his laboratory actively investigates the molecular mechanisms of diffuse intrinsic pontine gilomas (DIPGs) and establishes preclinical models of pediatric brain tumors. 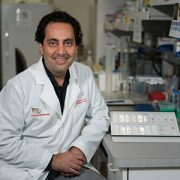 Dr. Nazarian has also contributed to the expansion of the comprehensive biorepository at Children’s National, growing from 12 samples six years ago to more than 3,000 specimens donated by more than 900 patients with all types of pediatric brain tumors, including DIPG. Recently he was appointed Scientific Co-chair of the Children’s Brain Tumor Tissue Consortium.